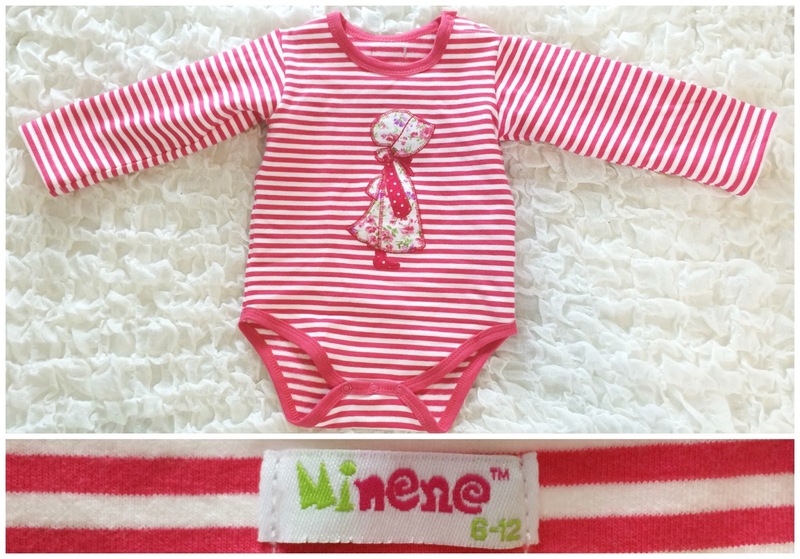 We were sent a gorgeous little outfit from the really fun brand that is Minene. 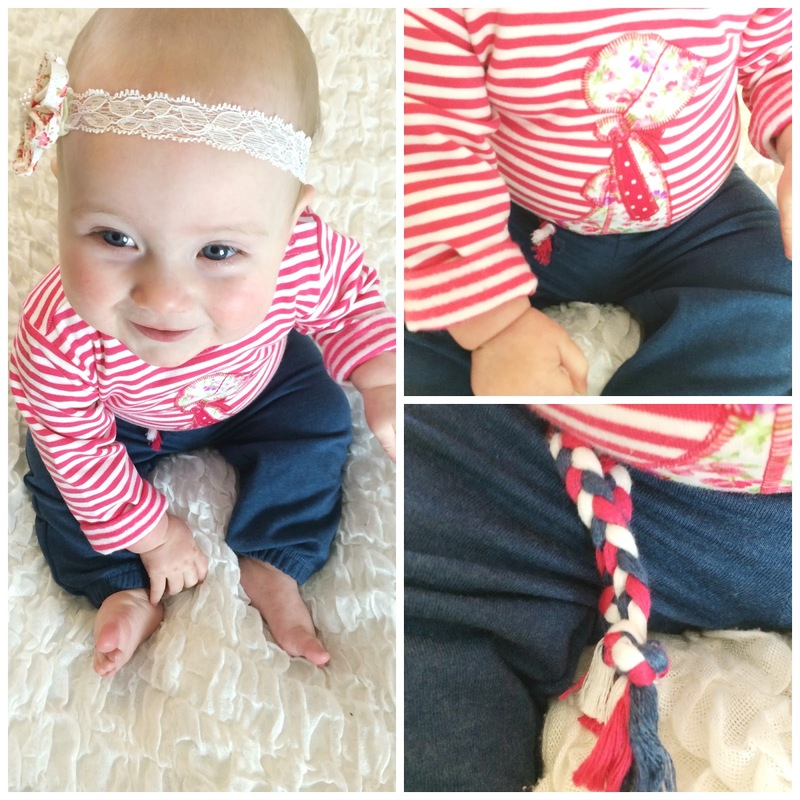 They offer a wide range of products and accessories for your little ones including clothing. You need to check out their nursery accessories too. We have a storage basket and it's beautiful! This is the Minene top we were sent. The quality of the cotton was great. It felt so soft and lovely against the skin. We love a stripe in this house and the appliqué character with the floral material was really cute. The fit was great and having the bodysuit bottom with poppers was great to help keep the top in one place while Isla was playing. The Minene trousers were a lovely Navy colour with a comfortable elasticised waistband. The plaited, multi colour tie feature was a nice touch that added a bit of colour to the trousers. Again, the material was of a really high quality and felt really soft and comfortable. The pockets were a cute detail too. This is how we styled the outfit. I think Isla's headband and Gold Moccs went really well with the Minene outfit. We think she rocked it pretty well! She got lots of compliments at baby group. Isla was super happy with the outfit as you can tell from her face in this photo. She loved posing around in it and it's also super comfy so she could play away all afternoon in it comfortably! The caliber of the 100 % cotton was excellent. It experienced so smooth and beautiful against the pores and skin. We really like a red stripe in this home and the applique character using the floral materials was really adorable. 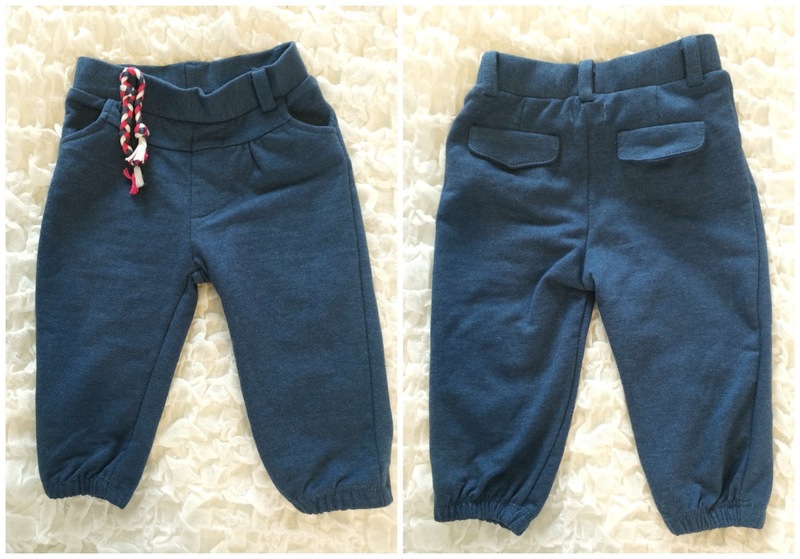 The actual Minene pants were a beautiful Navy color with a comfy elasticised waistband. The plaited, multi color tie function was a fine touch which added a little bit of colour towards the trousers.